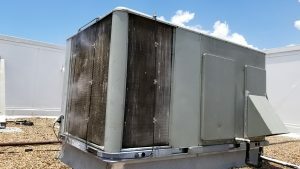 HEAT CONTROL BY MIST COOLING Hydro breeze misting systems install the best patio misting system and misting fan systems for your outdoor cooling and mosquito control systems in Houston Texas. Say hello to outdoor comfort. Say hello to Hydro Breeze Misting Systems. The Houston metro areas solution to outdoor heat in the summer. 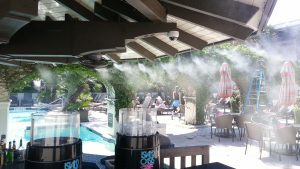 Let us help you to create the ultimate in outdoor cooling comfort for patios, outdoor kitchens, playgrounds, pools or outdoor living places you want to be comfortable to live, work and play with our Professional Misting Systems Installation. Read how our misting systems helped our customers. We specialize in making custom built misting systems for industrial and commercial applications. We have designed, built and installed misting systems for specialized misting applications. 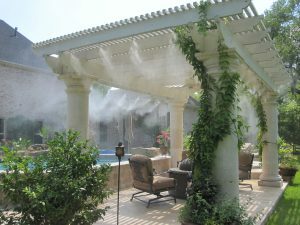 Our Misting Systems are designed using Misting Lines and/or Outdoor Rated Fans. 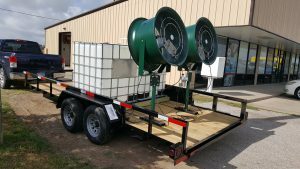 At Hydrobreeze we instal the best mosquito control systems Houston with our highly effective outdoor remote controlled mosquito misting systems, to provide you an effective solution to controlling mosquitoes and pests. Call us or chat with us to get a free quote for your mosquito system. We do installation of mosquito systems and repair of all mosquito systems. Want to hold an outdoor event? Want an Industrial Misting System for Rent? 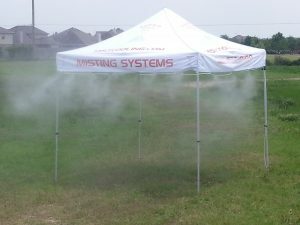 Contact us for rental of Misting tents, Misting Fans, Portable Misting System for Outdoor Events for residential or commercial events. 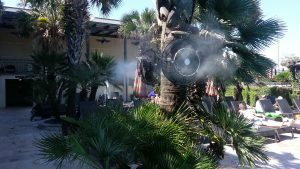 Contact us for Industrial Misting Systems rental.